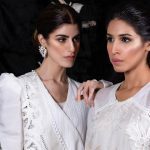 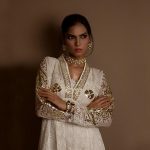 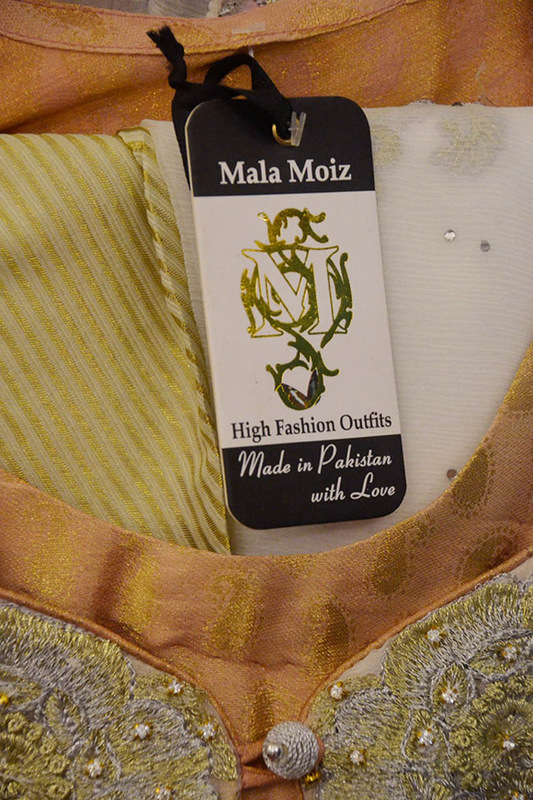 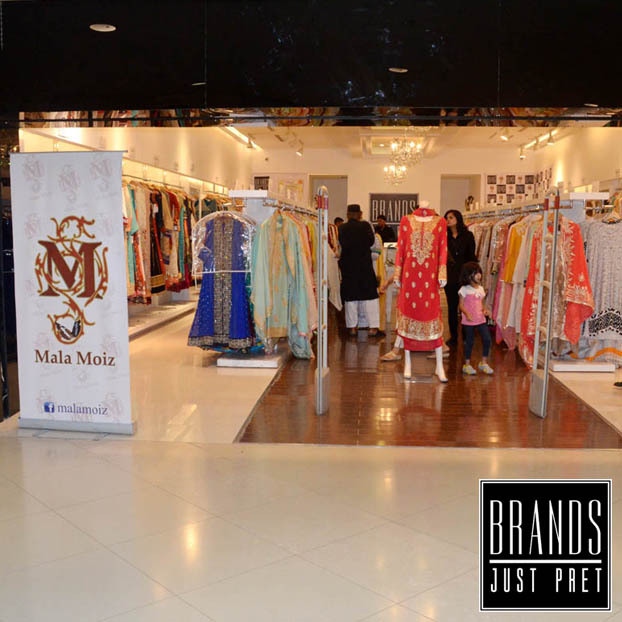 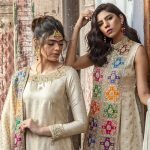 Popular multibrand store Brands Just Pret introduces the works of Mala Moiz at their Dolmen Mall Clifton outlet this weekend. 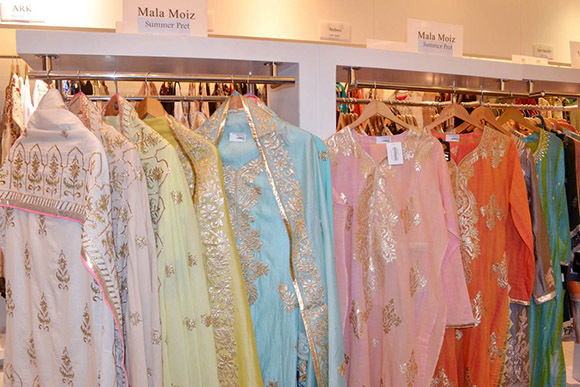 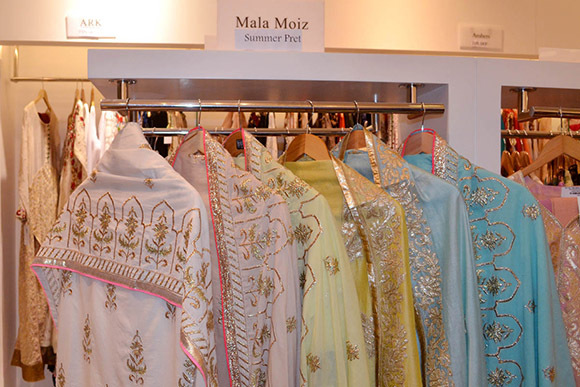 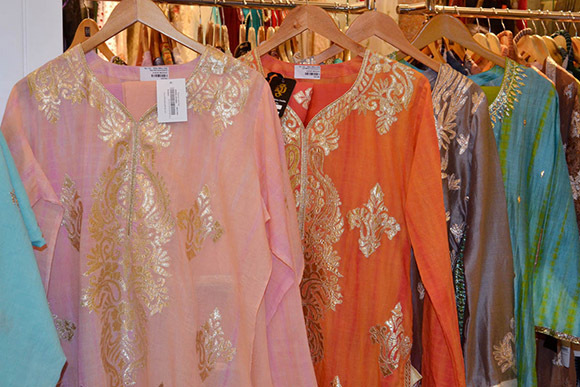 The designer specializes in gota applique and chandi pitta on cool summer fabrics. 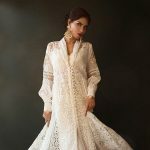 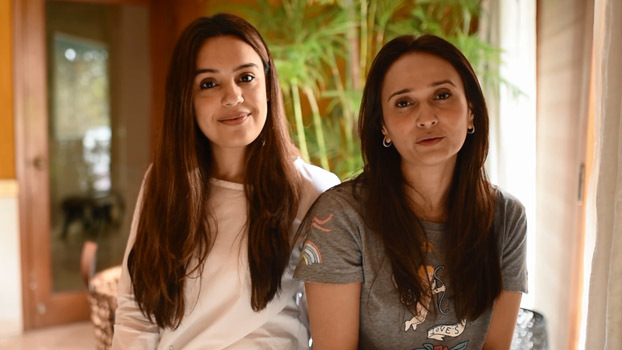 The matte gold effect is festive for the season yet not too overwhelming making it a lovely choice for Mothers Day as well as the Ramadan and Eid season. 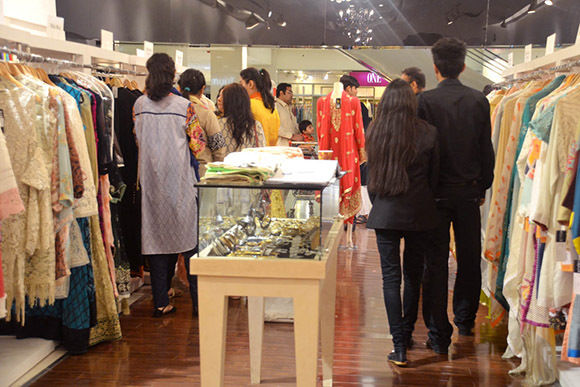 Here's a look inside the exhibition from the first day launch held yesterday. 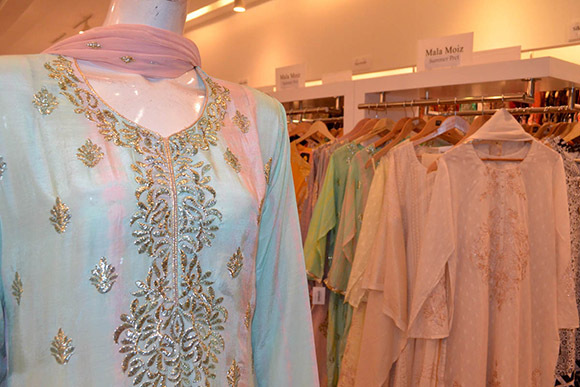 The exhibition continues exclusively at Brands Just Pret till 10th May. 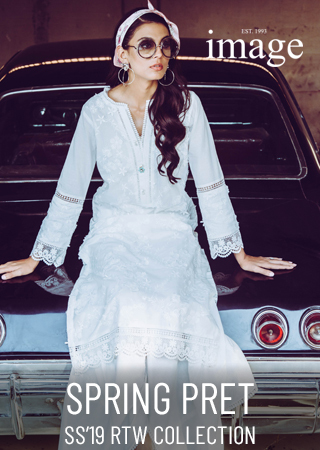 Nadia Lakdawala Spring/Summer'15 Exhibition Canada 9th May! 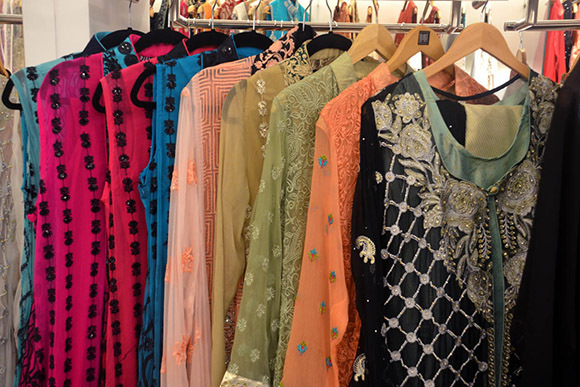 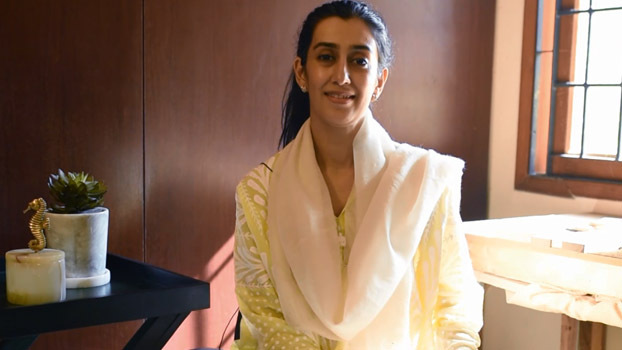 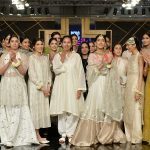 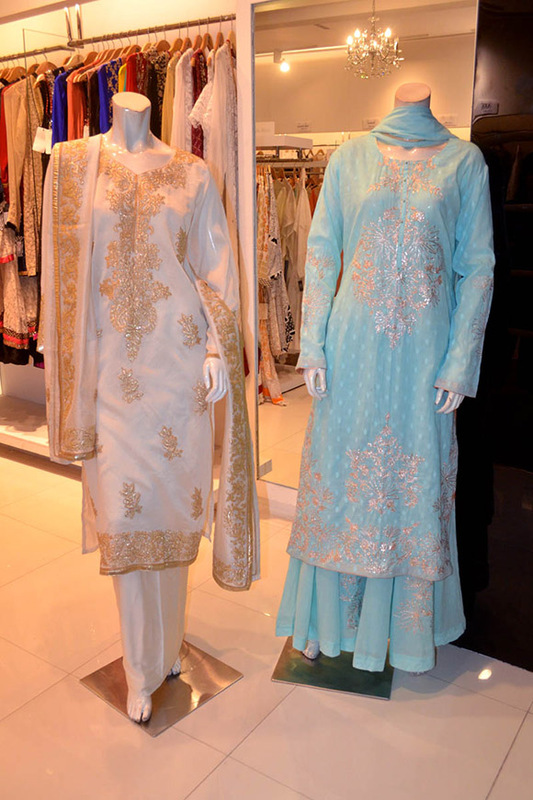 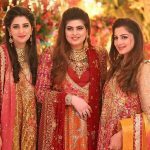 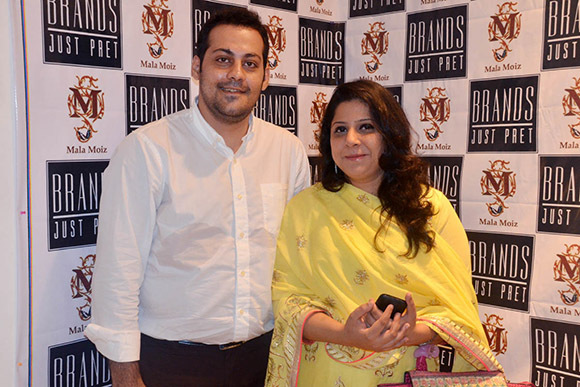 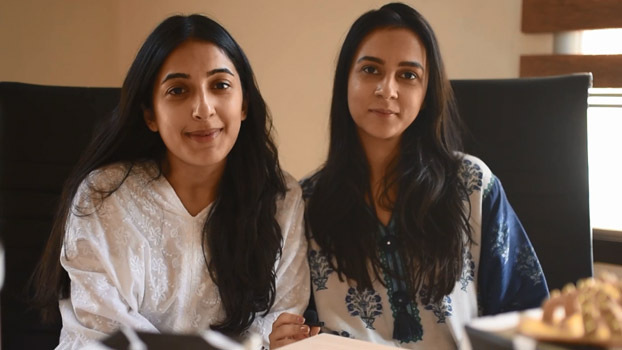 Image Fabrics Store opens in Lahore! 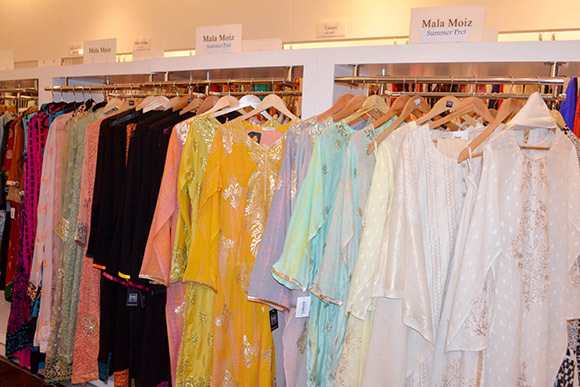 PKDL Designers Lounge Online Clearance Sale!